Sunnyvale, California is recognized as one of the main cities that make up Silicon Valley and is one of America’s safest cities. 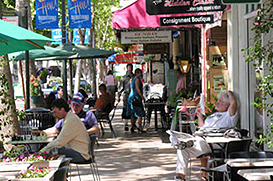 Sunnyvale is also a highly populated city with 131,760 inhabitants and over 8,000 businesses. There’s a lot available in this town including 26 schools, 52 shopping centers and 315 restaurants. The city council also works to help give affordable housing through loans and other tactics to many people looking for homes in Silicon Valley. The housing options here are known to be more affordable than other communities within Silicon Valley. Sunnyvale, California is less than an hour from the Pacific Ocean, and close to California’s famous redwood forests.